Hearing aids are incredibly delicate, complex pieces of technology. And just like every other piece of sensitive tech that you have in your home, they can be susceptible to technical difficulties. Whether you get your aids wet, drop them on the floor or don’t clean them properly, it can all result in a potential problem, where they start making funny noises or stop working entirely. The good news is that there is plenty you can do to solve your hearing aid problems and repair them. In this guide, we’re going to explore some of the most common issues people experience when it comes to hearing aids and reveal some of the things you need to know if you want to fix them. Let’s get started right away. Surprising as it might sound, but one of the most common issues with hearing aids is that the wearer isn’t using them properly. So, to prevent a needless trip to your hearing instrument specialists, there are a few things you should try out first. Get started by making sure your hearing aid is actually switched on properly – it’s a mistake more common than you might think! Next, check that your battery is in good working order. There are two common issues with batteries to watch out for. First of all, check the battery is inserted properly and that the door is shut properly. If the aid is still not working, the battery may not be charged, so use a replacement and find out for sure. Finally, check the earmold and the tubing to ensure that there are no blockages or moisture clogging the aid up. If there is still a problem, try the solutions outlined below, dependent on your particular issue. And if none of these solutions work, it might be time to book an appointment with your hearing instrument specialist. 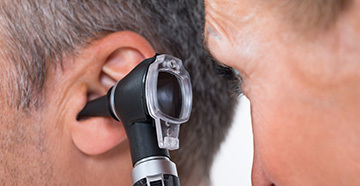 Sound problems are usually the result of earwax clogging up your hearing aid dome. With this in mind, the first thing you should do if your sound quality drops is check the dome – if it looks yellow or discolored you will likely need to replace it, so contact your hearing instrument specialist. If you have a RIC hearing aid the problem may be a little less severe – check the wax guard or small ports that lies beneath or around the dome and inspect for clogging – then gently clean it. It’s a good idea to maintain your hearing aid by cleaning it gently every day. Because of the tiny holes that are in your aid, build up can be a regular problem without proper cleaning, which should always be done with a clean and dry tissue or cloth. If you can hear static sounds or feedback, it’s likely to be the result of clogging, so carefully try to clean your aid before contacting your hearing aid specialist. Too much exposure to water or moisture can mean a repair job for your hearing aid and as with everything, prevention is the best course of action. So, always keep your hearing aid well away from damp conditions like the shower and even humid environments. Keep in mind that just wearing your device can accumulate a lot of moisture, so it’s important to open up the battery compartment at night so it dries properly. You may also want to invest in a hearing aid sleeve or sweatband if you tend to perspire a lot. If you do get your hearing aid wet, switch it off immediately, remove the battery and dry with a cloth and shake the device to remove as much water as possible. You should also put your aid on a piece of newspaper and store in a warm place for several hours to attempt to dry it out. However, you should also bear in mind that this won’t necessarily work – and your hearing aid may need looking at by a hearing instrument specialist. 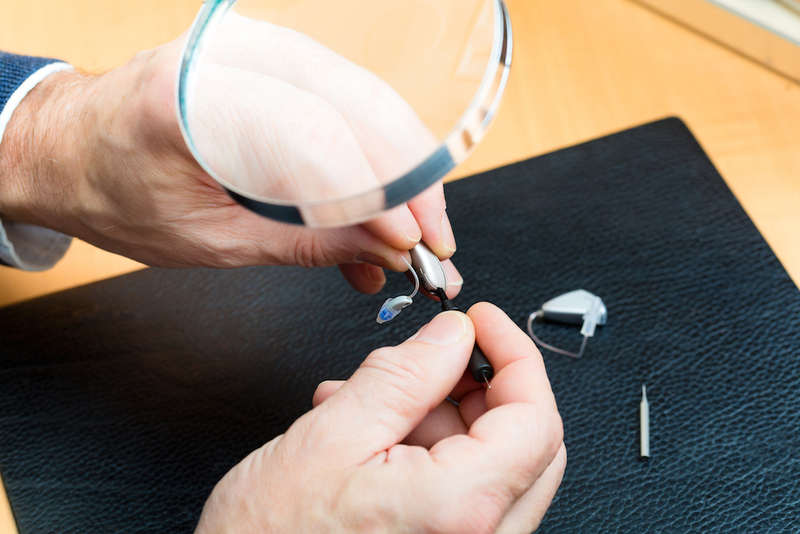 If you cannot fix your hearing aid yourself easily, it’s important to bring your device to a hearing instrument specialist. The specialists at West Family Hearing are knowledgeable and capable when it comes to hearing aid repairs and will walk you through the entire process. In the event your device has sustained major damage, we’ll work with the manufacturer to determine what repairs are needed and provide you with a plan and timeline. To learn more about how we can help you take better care of your devices, call West Family Hearing at (425) 245-8507.